Obituary for Robert Waller | Boyd Funeral Home, Inc.
Robert Louis Waller (aka Ross, Lil Buddy, Bob) was born on March 28, 1937, to the late Elijah and Everlene (Hicks) Waller in Lonoke County, AR. He departed this life and went to his heavenly home on Saturday, March 31, 2018, three days after his 81st birthday. Robert grew up in the Union Valley community of Lonoke County and attended school at Carver High School in Lonoke, AR. As a track and field star, his record in the 100-yard dash was still unbroken when Carver consolidated with the Lonoke Public School District in the 1960s. After graduating, he married his high school sweetheart, Joyce G. Waller (Kirk) on October 12, 1958; they were married for more than 59 years. Robert obeyed the gospel in 1962 and was baptized by the late Johnie Lawrence. He soon developed a great love for souls and this love led him on mission trips to Germany and Ghana. He began preaching shortly after, first as the minister for 15th Street church of Christ in North Little Rock, AR. He was an integral part of the work of the Lord in the Lonoke community that eventually led to the Brown Street church of Christ where he served as minster for 24 years. He and Joyce later moved to Warren, AR, where he served as minister of the West Central church of Christ for over 20 years. In total, his evangelistic ministry spanned over 50 years. In addition to spreading the word of God, he enjoyed hunting, fishing, playing sports, and SINGING. He served as song leader for the annual Labor Day Lectureships for many, many years. Community service was also very important to Robert. He served on the Lonoke School Board for 11 years, and was elected president for a portion of those years. He was a member of the Lonoke Council on Human Resources; the Central Arkansas Planning and Development District Board of Directors; the School of Religious Studies Board of Directors; and was the manager of the Newberry Court Assisted Living facility, where his devotion to the residents earned him the HUD Employee of the Year award. He is preceded in death by both parents; his daughter DeLisa Carey; brothers Chester Waller, Elijah Waller, Jr., Julius Waller, Odell Waller, John C. Waller; and sisters Ethelene Mayweather, Luella Cooper, and Dorothy Johnson. 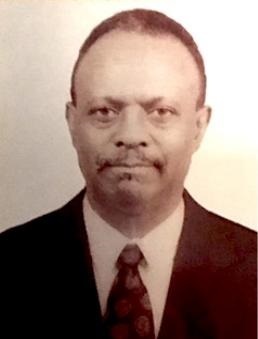 He is survived by his wife, Joyce (Warren, AR); son Dr. Larry Waller (Maumelle, AR); daughter Phyllis (Cedric) Byrd (North Little Rock, AR); son Kevin (LaTora) Waller (Gainesville, VA); eight grandchildren; two great grandchildren; half-sister Mickey (Charles) Harris (Lonoke, AR); a host of nieces, nephews, and cousins; his loving, supportive West Central church family in Warren, AR; and countless lifelong friends.